Here’s the thing: It’s great to acknowledge your privilege, but if you don’t also use that privilege to make way for marginalized people, you are part of the system that oppresses and marginalizes individuals like Gossett. To truly acknowledge privilege is to not be silent when confronted with racism and transphobia. France, you wrote that you have witnessed the racism and transphobia Gossett faces, but you remain silent and benefit from it. So many times the lived experience of trans women of color is co-opted by the white gay movement with no recognition of its source. Just like Reina Gossett had her work on Johnson used, claimed, co-opted, whitewashed, and stole, Johnson herself had her place in history whitewashed and erased. To many trans-women of color, Marsha P. Johnson’s role in history is invaluable. Many individuals credit Johnson with starting the Stonewall riots: she took off her shoe after police raided the Stonewall Inn and threw it at the window of the building where police were barricaded inside. 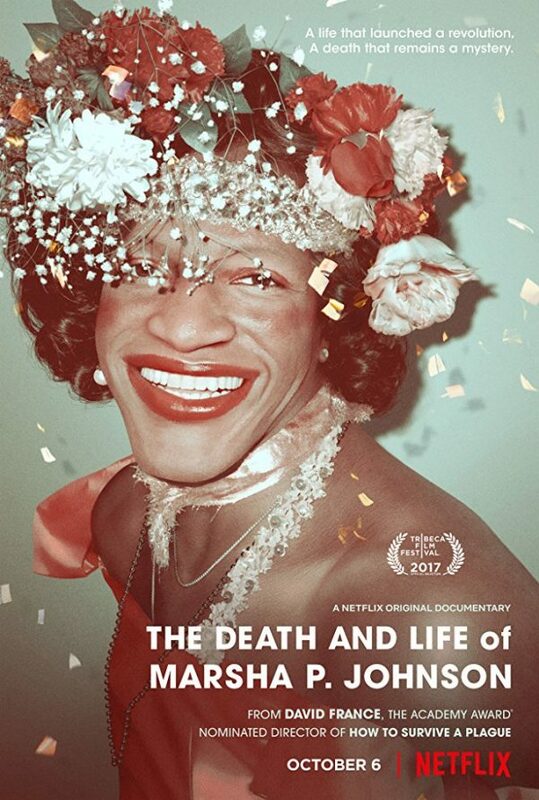 Yet this part of Marsha P. Johnson’s life—where she made LGBTQ movement history—was not included in David France’s documentary. That’s no accident: that omission promotes the lie that it was white gay men that led the way at the Stonewall riot rather than trans people of color like Johnson, Rivera, and Stormé DeLarverie. 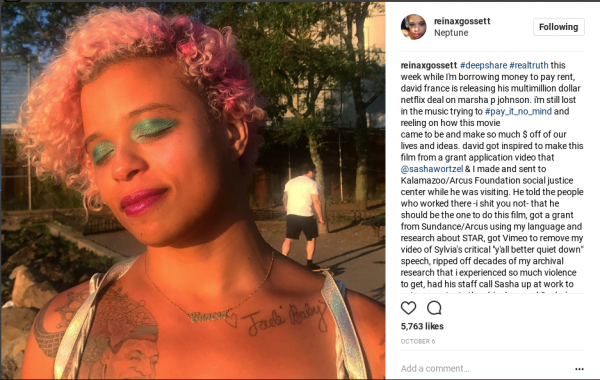 It is my belief that it is important for people like Reina Gossett to tell the stories of other black trans women rather than have white men tell them for us, so that we don’t forget what Marsha P. Johnson did that night. Reina Gossett, I believe your truth. I would not sit and be quiet while someone takes credit and makes money off your work—your sister, Monica Jones.